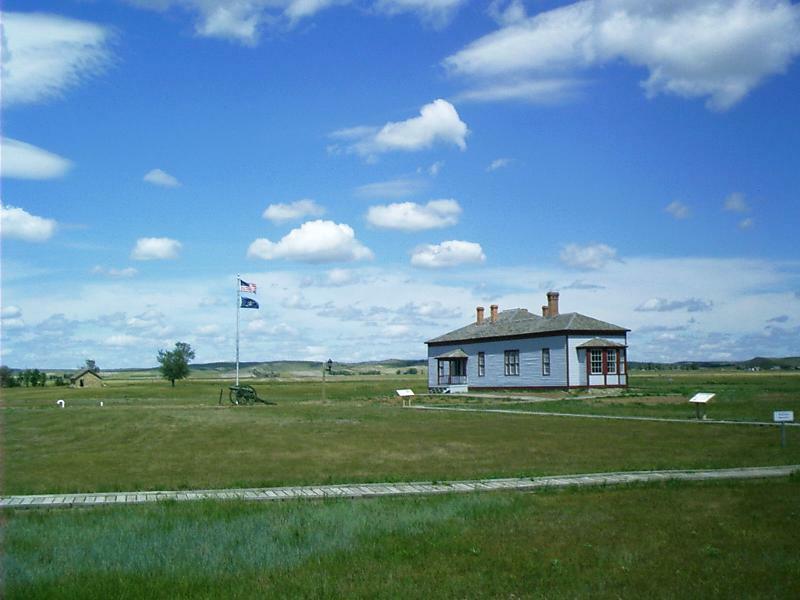 The Fort Union Historic Site is a faithful reproduction of a fur-trading outpost that stood at this exact spot on the border of North Dakota and Montana. The road in comes from Williston, ND, but the parking lot is in Montana, and, at that point, the pavement ends. In the beginning, there were no rails, and roads were unimproved. Only herds of migratory ungulates grazed the uplands. I must not say there was no commerce. On the contrary, time out of mind, commerce has followed established trade routes. However, in those days, there were no highways -- unless you consider the western rivers. In the 1830s, the Americanization of commerce was just beginning. In 1829, the American Fur Company established Fort Union at the confluence of the Yellowstone and the Missouri Rivers to trade beaver skins and buffalo cow robes and bull hides with the Assiniboine and later the Crow and even the Blackfeet. 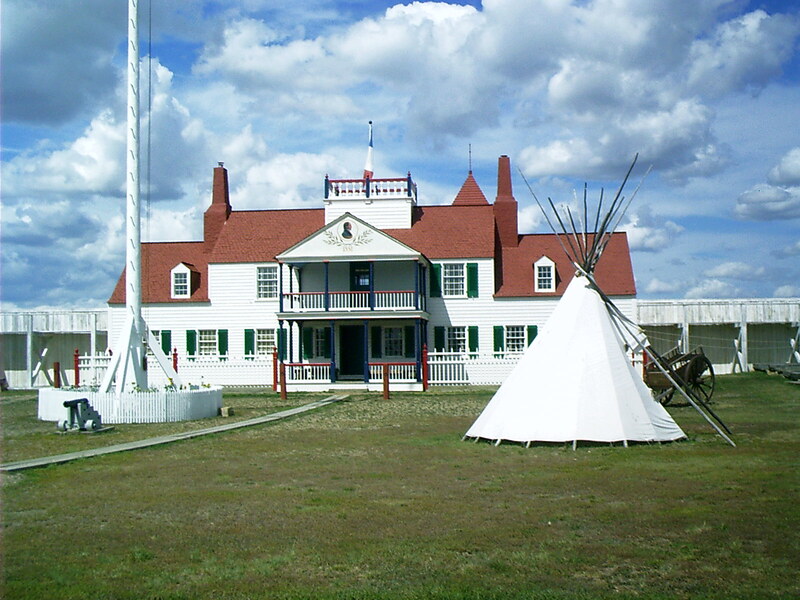 In 1836, the American Fur Company acquired the outpost later called Fort Laramie on the Platte River, which traded buffalo hides with the Cheyenne and the Arapaho. Both posts were supplied from St. Louis. Although hides could be put into bull boats and floated down the Platte in the spring, that river was not really navigable. Goods had to be packed overland to Fort Laramie. The Missouri was a different story. Within three years of its opening, the American Fur Company was operating a steamboat to Fort Union. Several other fur companies sponsored seasonal rendezvous and built lesser trading posts. At the time, none of these locations were within the United States. 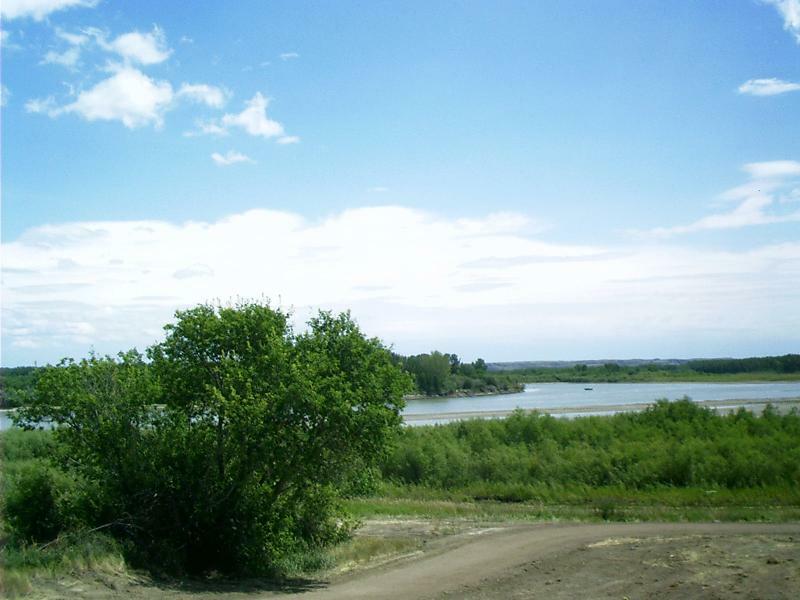 The Missouri River above Lake Sakakawea is unique to the entire Missouri River System because it exhibits characteristics of two very dissimilar rivers. The Yellowstone River is basically unregulated, with no main stem impoundments, and thus exhibits natural, seasonally high flows of turbid water. 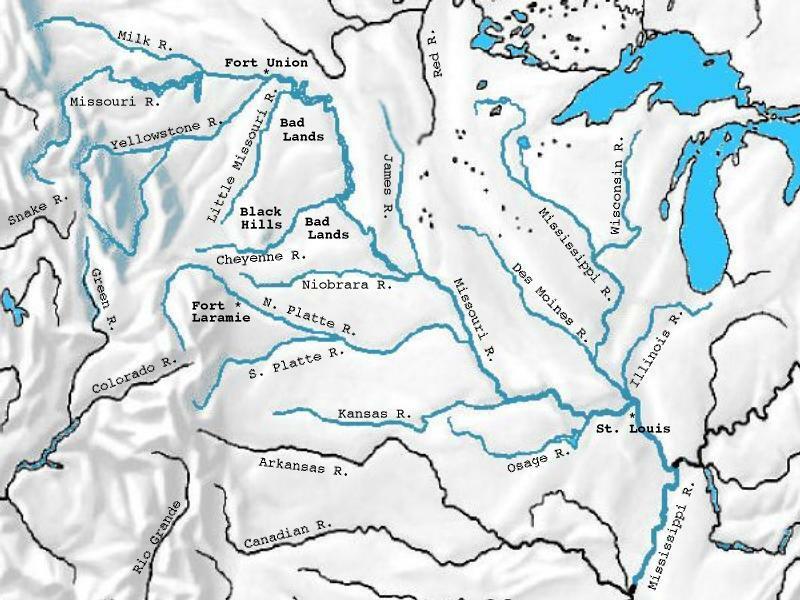 However, a few tributary impoundments do have an influence on the Yellowstone's flow. For example, Yellowtail Reservoir on the Bighorn River (a significant tributary to the Yellowstone River in Montana), impounds nearly a million acre-feet of water and limits the natural, high discharges of the Bighorn into the Yellowstone during snow-melt periods. The average annual flow of the Yellowstone River at its lowest gauge station [above the confluence with the Missouri River] (at Sidney, Montana) is 12,250 cubic feet per second, with a maximum instantaneous flow estimated at 159,000 cfs in June 1921. [Midwinter flows are as low as 500 cfs.] Due to upstream water depletion projects, flows in the Yellowstone River have declined by approximately 24% from historical levels. Contrary to the Yellowstone River, the flows of the Missouri River upstream of the confluence are highly regulated (mostly by Ft. Peck Dam, approximately 200 river miles above the confluence), with summer flows relatively clear and cool. Since closure of Ft. Peck Dam in 1937, annual flows of the Missouri River at its lowest gauge station above the confluence with the Yellowstone River (at Culbertson, Montana) have averaged 10,270 cfs. The peak post-impoundment flow for this reach -- 78,200 cfs -- occurred in March 1943. Each of the succession of directors of the American Fur Company's Upper Missouri Outfit at Fort Union went by the French title "Bourgeois," which I understand better by it's German cognate "Bürger," which means burgher, businessman or merchant or perhaps "Bürgermeister," mayor, burgomaster or bailiff. Stone blockhouses were a feature of the fort from its early days. The Bourgeois never tired of commanding enhancements and repairs to the structure of the fort. Manpower was seldom in short supply, particularly in the off season, and improvements continued up to the beginning of the Civil War. The trading house entrance was from the alley between the inner and outer main gates. Here, VIPs were entertained during trade negotiations. The Indians, they say, preferred to sit on the floor. Probably, they were not the only ones. 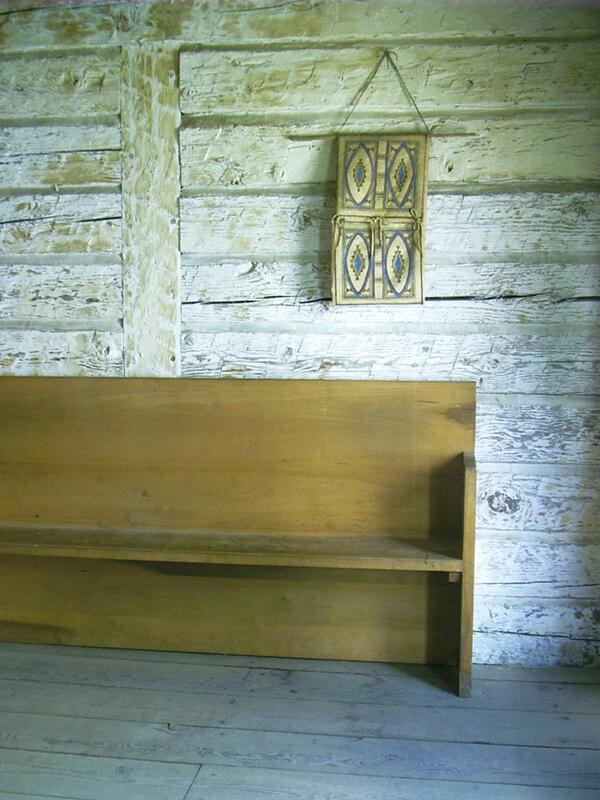 The store room at the site is stuffed with goods identical to those displayed in the 1830s, 40s, and 50s. Of course, all the artifacts are modern reproductions, but, interestingly, many of the new articles are produced by successor companies of the original manufacturers by copying museum specimens and rediscovering specifications, molds, methods, and materials of the period. In 1860, Lieutenant Maynadier was surprised at the good order of life at the fort, especially on the evening of August 4 when he attended a ball; "Although the ladies were the daughters of the forest, they were attired in the fashionable style of the States, with hoops and crinoline." In the tradition of the French and the British, American commerce had always been conducted in a party atmosphere (and, today, it's the same). Although liquor could be distilled and stored, it was illegal to transport it in the territories and to traffic in it with the Indians. Regulations had negligible effect, though. Whether or not deliberations were sober, all parties were determined that trade be conducted in the time-honored way -- attended with festivals, pageants, joyous occasions, and general merrymaking -- as was amply illustrated in sketches, paintings, and written accounts made on location thoughout the years. In the nature of things, fashion changed. Progressively less occidental beaver and more oriental silk were needed by European clothiers. The trade in robes was depressed by smallpox epidemics that may have reduced the small human population on the plains as much as 80% by wiping out whole communities. Ultimately, the buffalo herds were harvested into extinction. The great souls of the fur trade who transcended ethnicity, the pioneers of all the races, the men of renown, grew old and graduated to other pursuits. From the southeast, the Sioux, opposing destiny, tried to stop American settlement by obstructing the trade of other nations. In the United States, the Civil War decimated the economy with the consequence that enforcement of order was feeble on the plains. 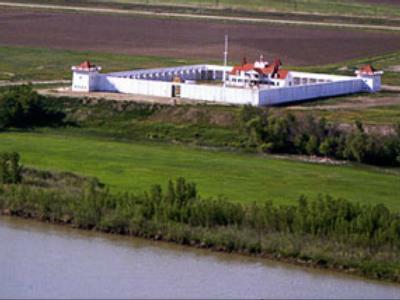 In 1867, Fort Union was abandoned as unprofitable. 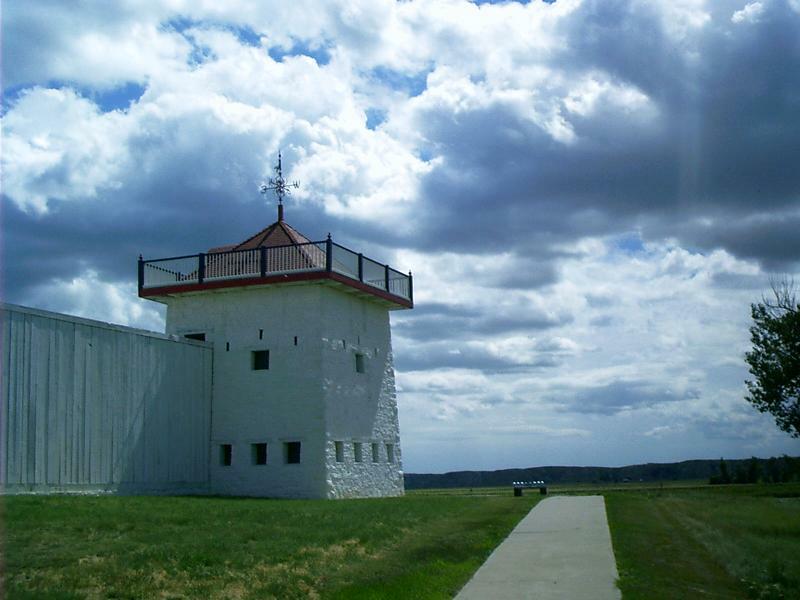 The army was tooling up for the Indian Wars and building what would become the massive cantonment of Fort Buford two miles away nearer the mouth of the Yellowstone. The structures at Fort Union were plundered for lumber to build Fort Buford and for firewood for fuel burned in steamboats. Rhode, Chuck. "Fort Union." The Hi-Line and the Yellowstone Trail: To Glacier Park and Back Again. 1 Sept. 2004. Lacus Veris. 24 Apr. 2019 <http://lacusveris.com/The Hi-Line and the Yellowstone Trail/The Buffalo Commons/Fort Union.shtml>. Last modified 6 Oct. 2015. Served 9060 times between 16 May. 2010 and 23 Apr. 2019. Contact mailto:CRhode@LacusVeris.com?subject=LacusVeris.